Saturday openings for winter 2018 term from February 9 to April 6, 2019 inclusive. Due to an upgrade to the Library’s Catalogue, patrons will not be able to request materials from ASRS starting Sunday May 13, 2018 at 6 p.m. Full service is expected to resume May 19, 2018. A recent UBC Library service bulletin has more information about the scheduled outages and their impact on the UBC Library system more broadly. While RBSC will not be able to retrieve materials from the ASRS (any item with the location listed as RARE BOOKS & SPECIAL COLLECTIONS ASRS storage in the catalogue record), we will still be able to retrieve materials stored in the RBSC vault (any item with the location listed as RARE BOOKS & SPECIAL COLLECTIONS in the catalogue record). 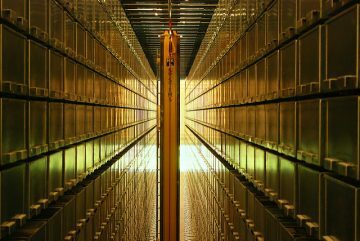 Materials stored in the ASRS generally include textual archival materials and contemporary books. If you have questions about whether an item might be available, please contact Rare Books and Special Collections at (604) 822-2521 or rare.books@ubc.ca.